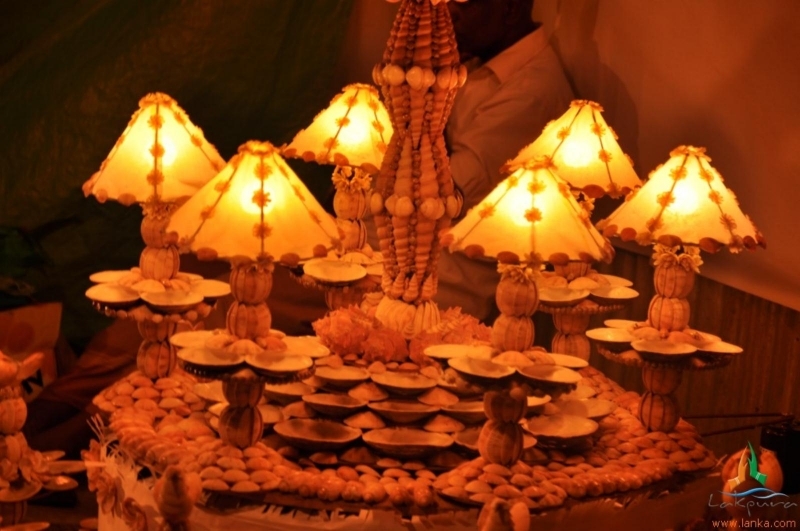 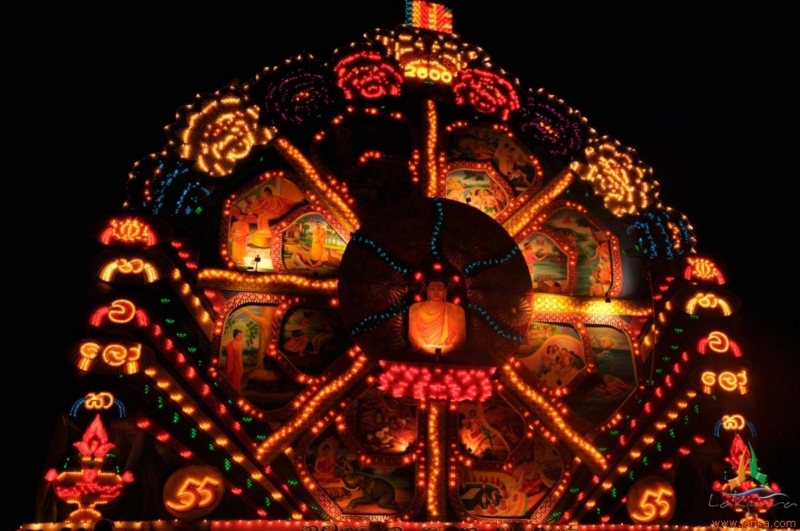 Vesak is a religious and cultural festival in Sri Lanka. 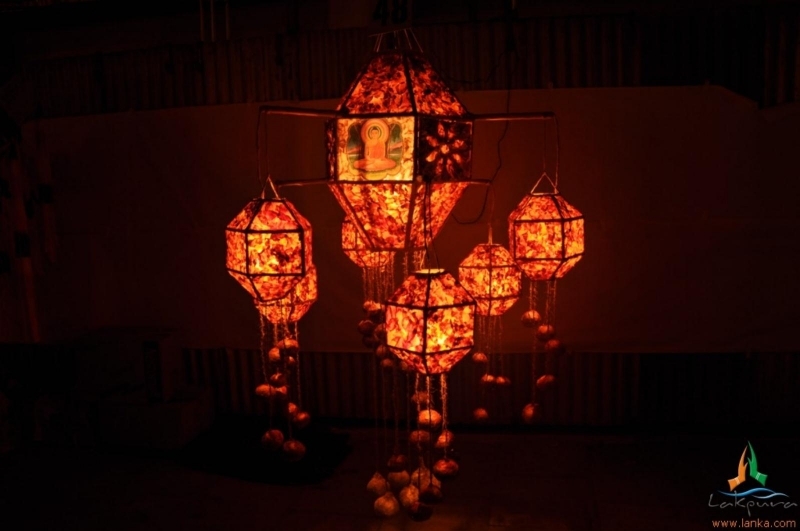 It is celebrated on the day of the full moon in the month of May. 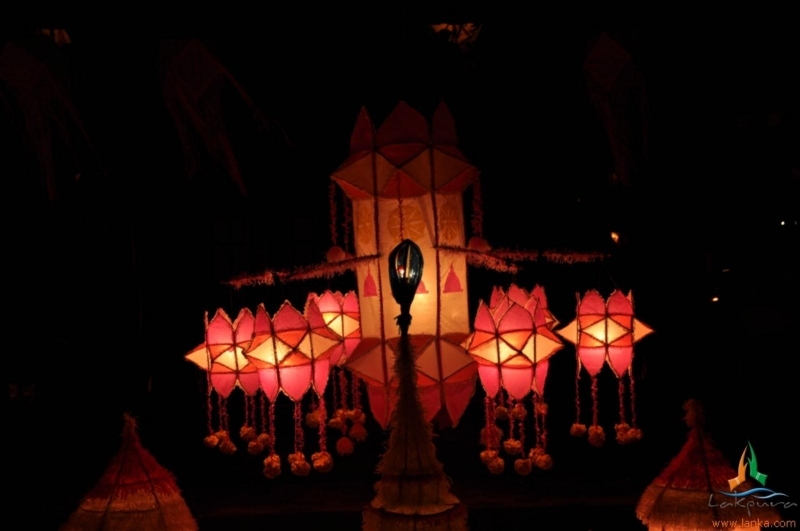 Vesak Day is one of the biggest days of the year and is celebrated by Buddhists all over the world. 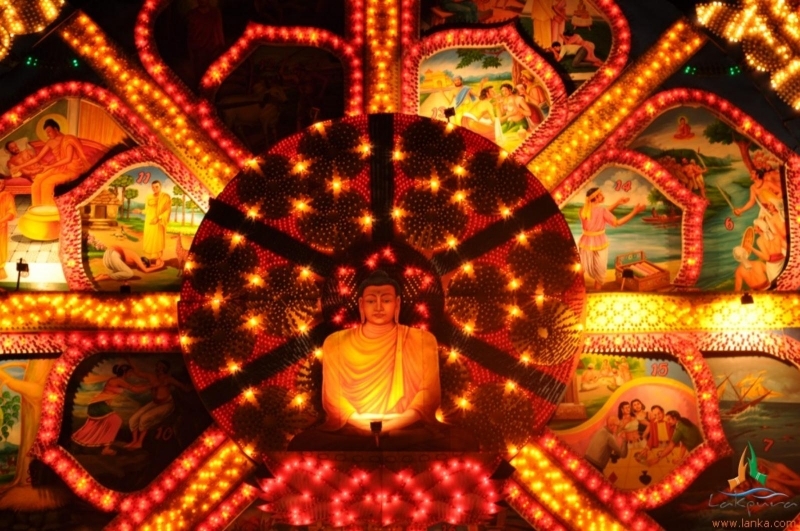 Buddhists commemorate the important events that took place in the life of Lord Buddha on this day. 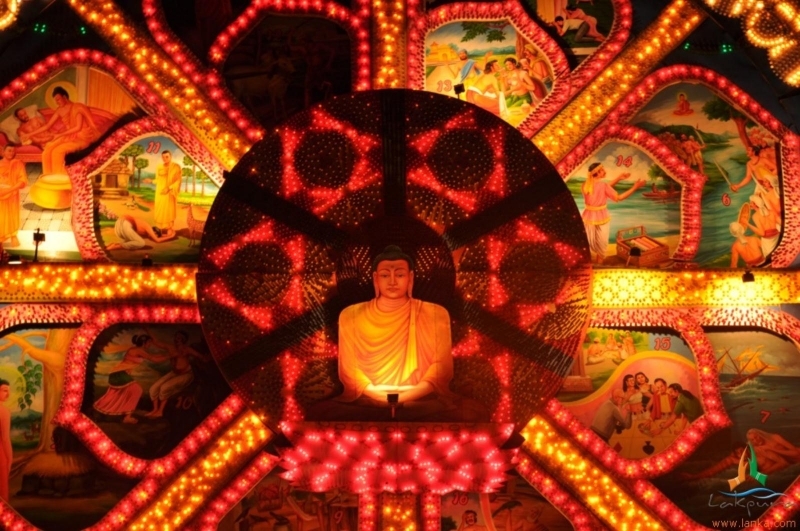 First comes the birth of Siddhartha Gautama in Lumbini in Nepal which took place under the arbor of Sat trees where queen Mahamaya gave birth to him. 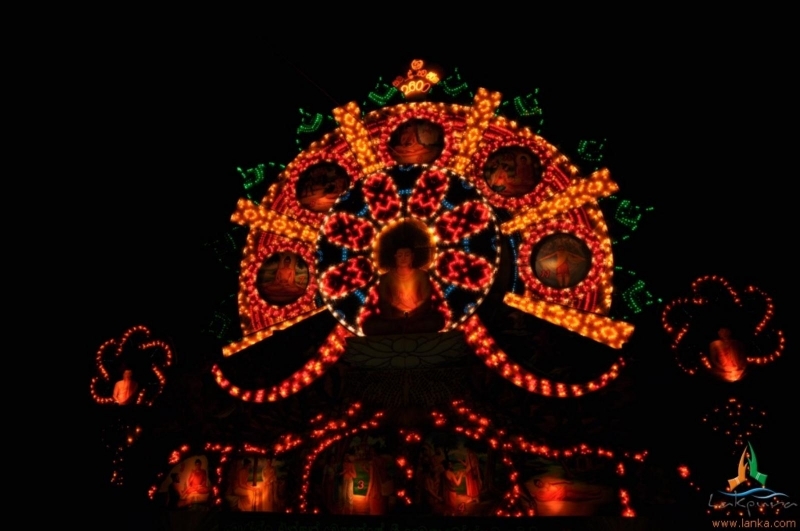 The second event was Siddharta Gautam’s supreme attainment as the Buddha, the Enlightened One. 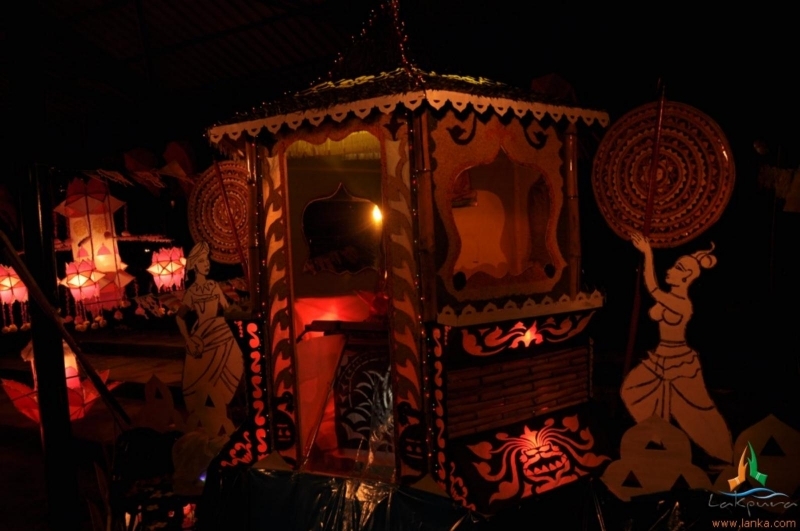 The third event was Lord Buddha’s Parinibbana over 2500 years ago at Kusinagar. 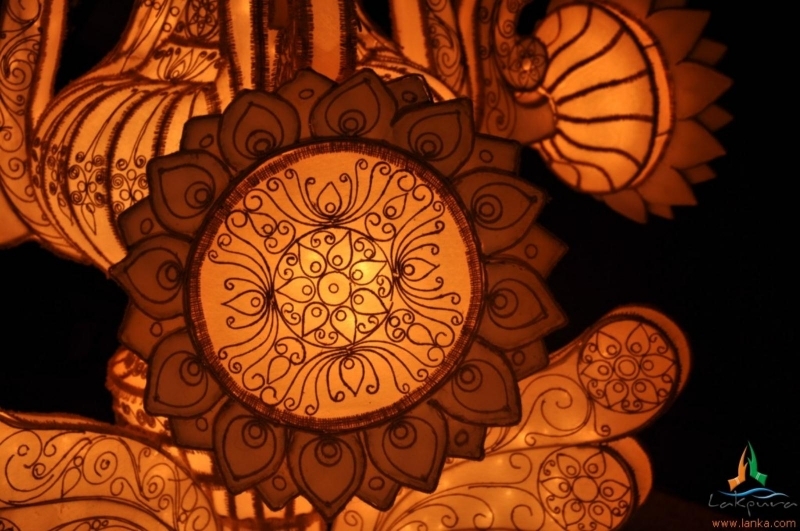 Apart from Sri Lanka, many Asian countries including India, Japan, Singapore and Taiwan celebrate Vesak. 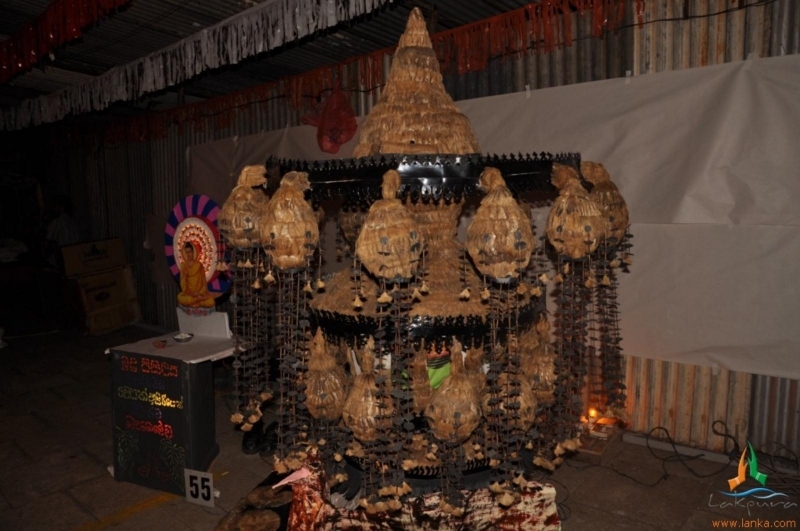 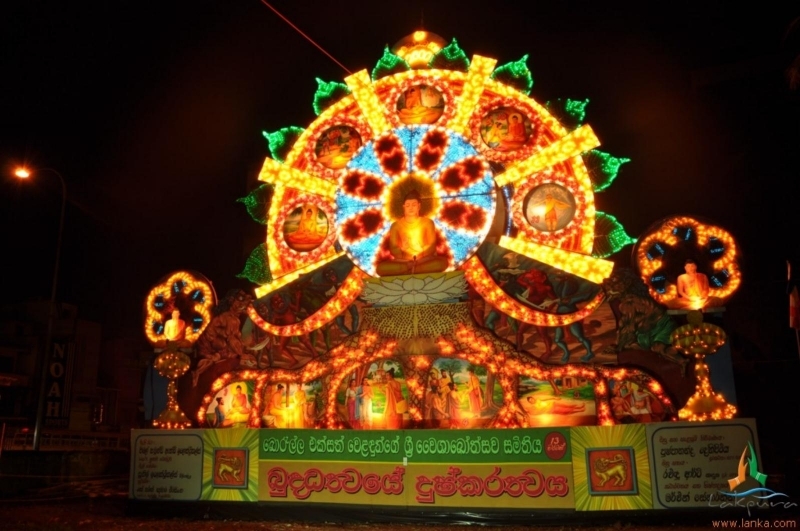 Many religious activities are organized during this period in Sri Lanka such as Sil campaigns, Bodhi Poojas, Dansalas (Freely giving foods, coffee, tea from people), Vesak devotional songs (Bakthi Gee), pandols (thoran) and lanterns. 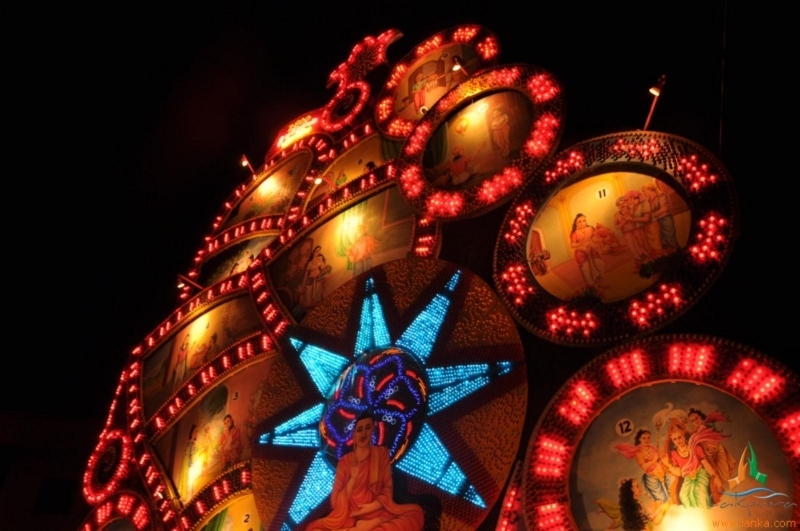 Many temples get filled with devotees and pilgrims all over the country to mark this great event. 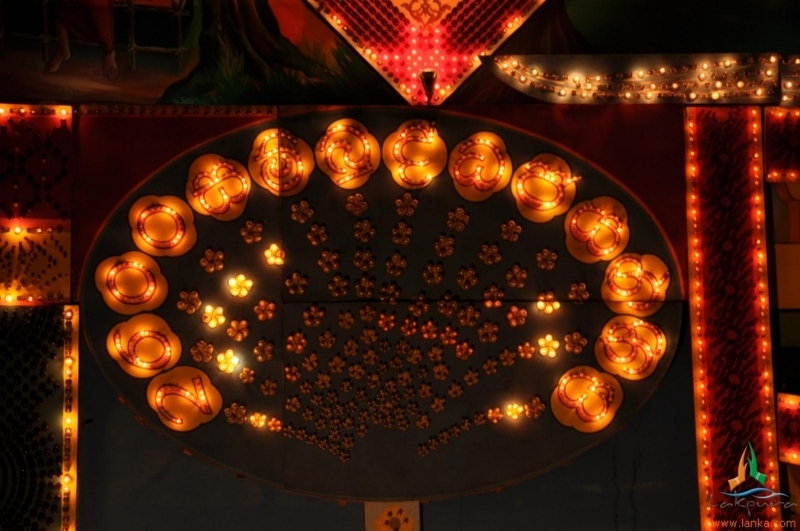 In temples Buddhists worship, offer flowers, light lamps and burn incense. 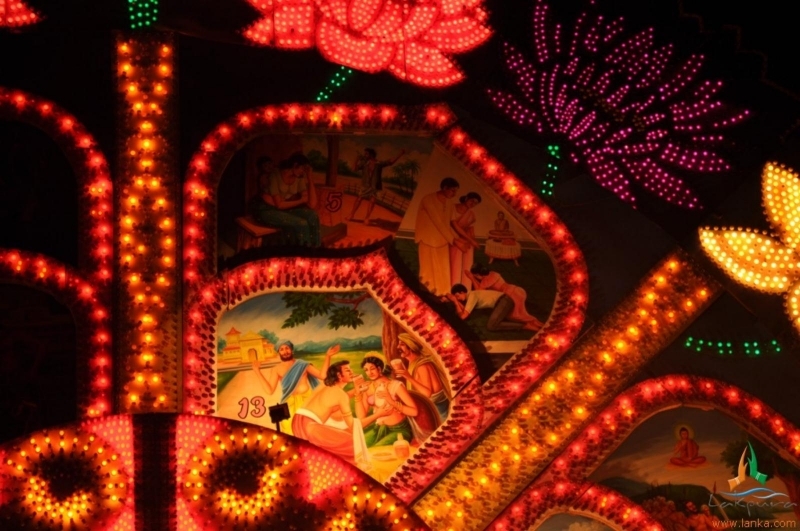 These traditional observances, in essence, have their value in satisfying the religious and emotional needs of the people. 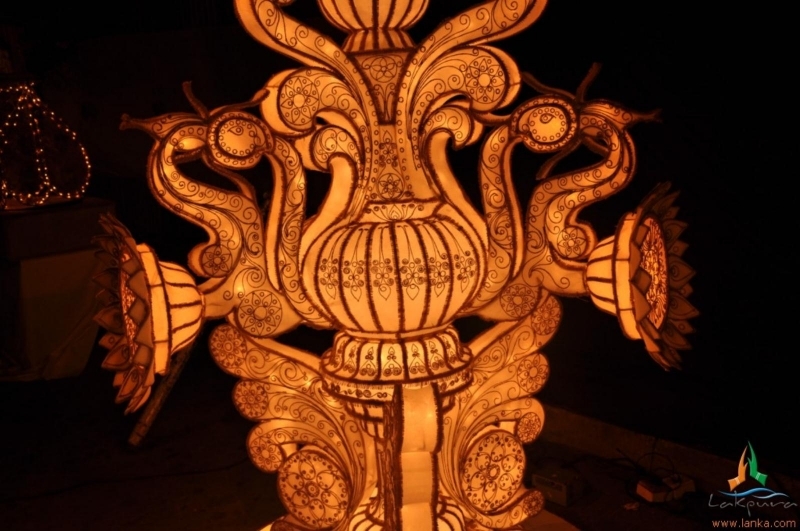 Buddhists generally wear a white dress and go to the temple and participate in the traditional ceremonies. 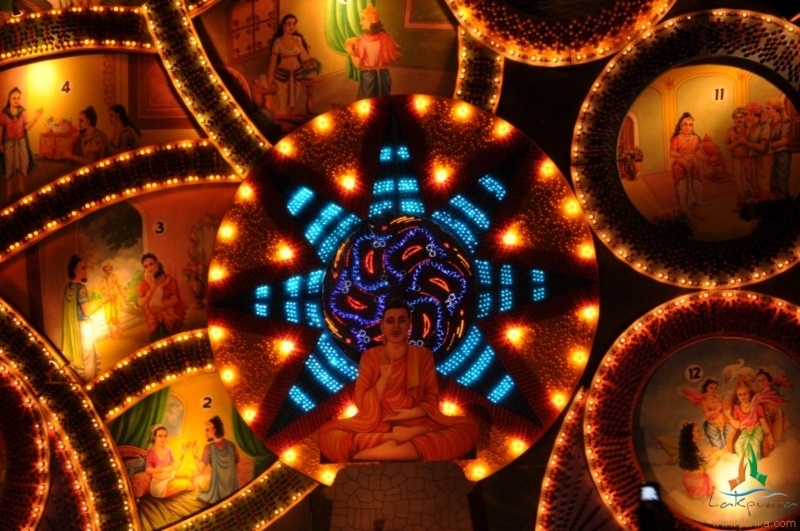 Many of them spend the whole day in the temple and reaffirm their determination to follow the teachings of Buddha. 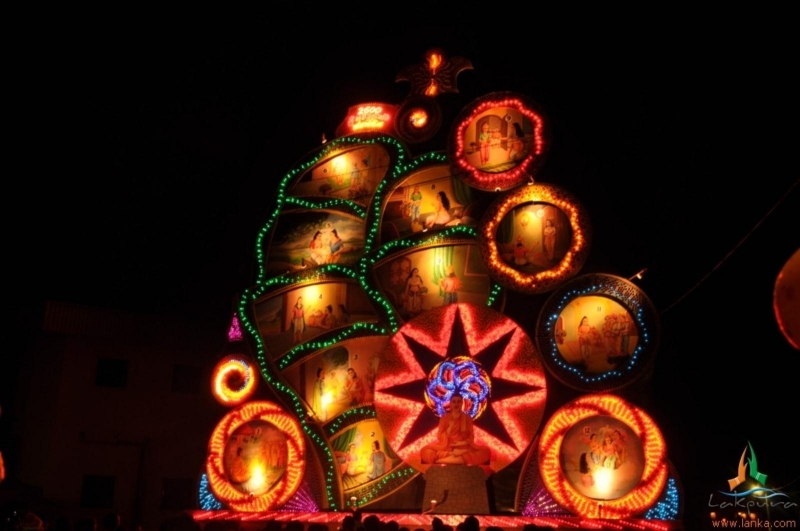 On this holy day the ‘Dana’ (alms giving) plays an important role. 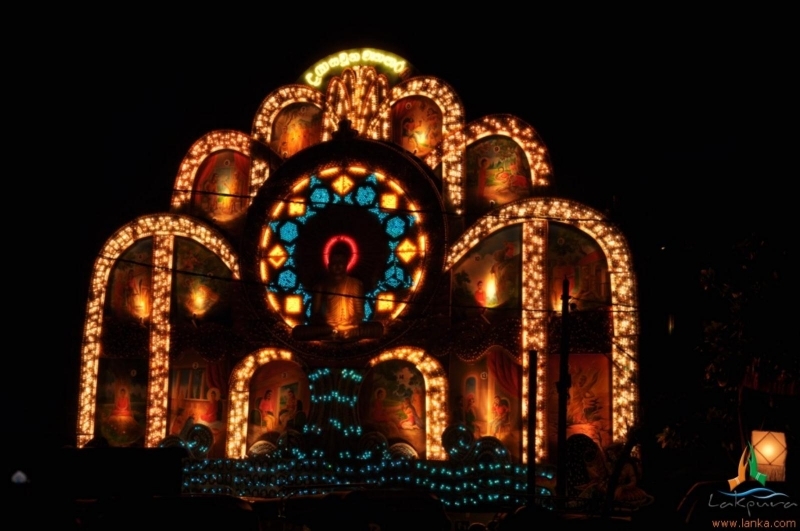 This is a sign of sharing joy and peace with people. 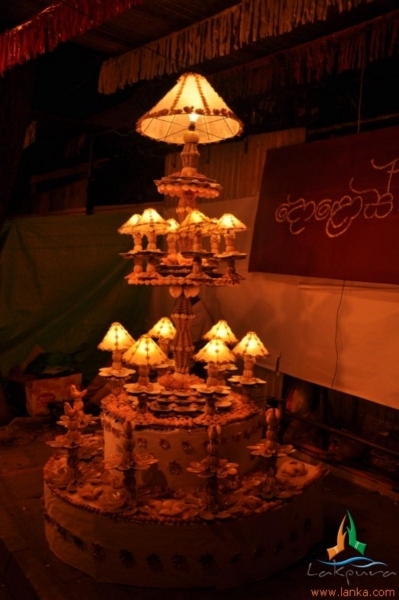 During the Vesak Festival week, the selling of alcohol and flesh is usually prohibited, with abattoirs also being closed. 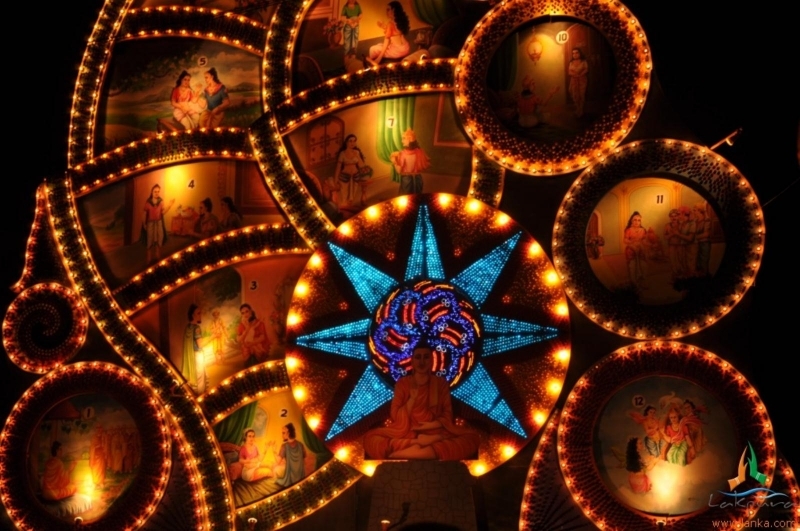 Other than the exclusive religious aspects of the festival, the Buddhists of Sri Lanka, decorate their houses and public places and arrange for various cultural events. 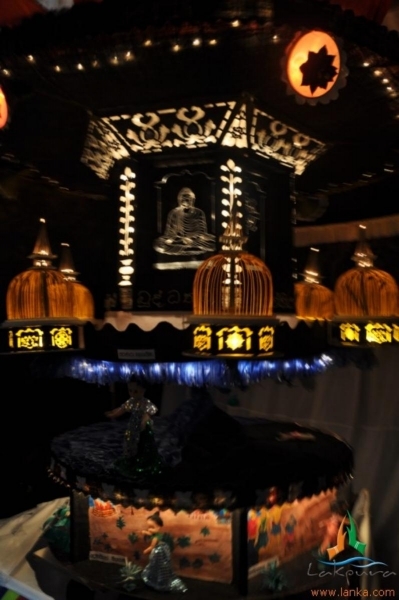 The Siddharth or lord Buddha, the divine creature inquired about five affairs before expiring for the final birth. 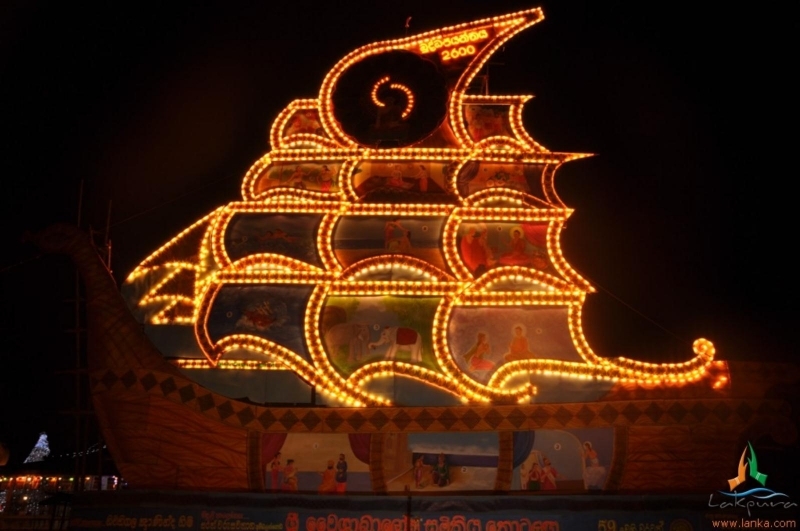 The inquiries are the: right time, right area, right continent, right caste and right mother. 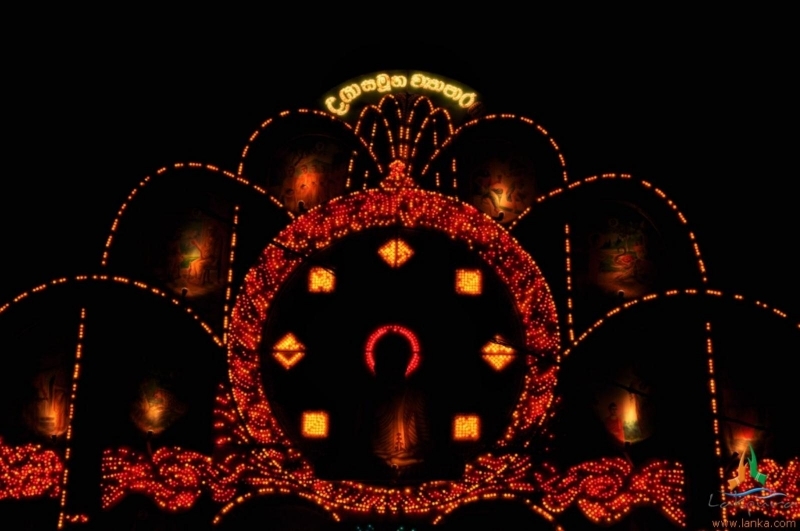 Then, as any Buddhists know, the fully mindful divine being entered the womb of Queen Mahamaya. 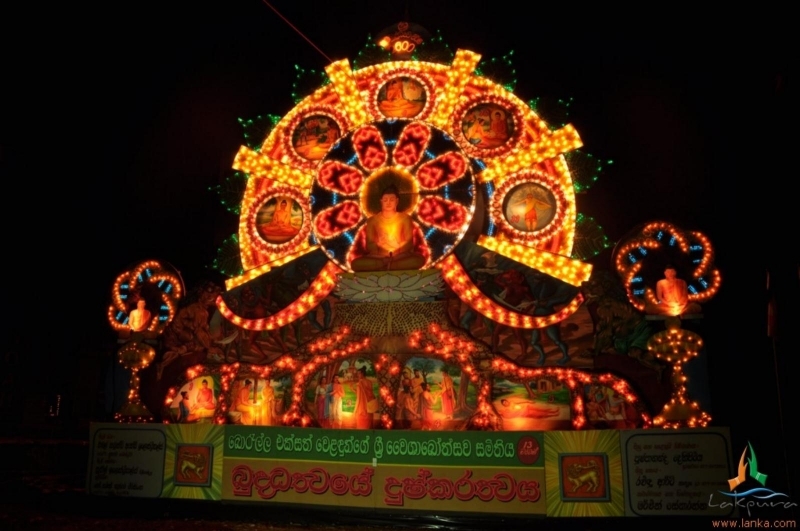 A prince was born on a Vesak Poya day to the Queen and King Suddhodana and was named Siddhartha, one who has found meaning of existence. 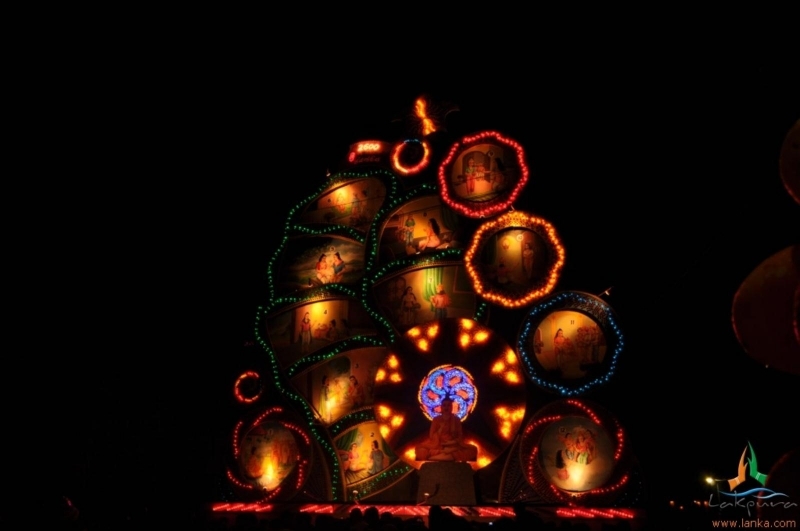 The Queen passed away seven days after the prince’s birth. 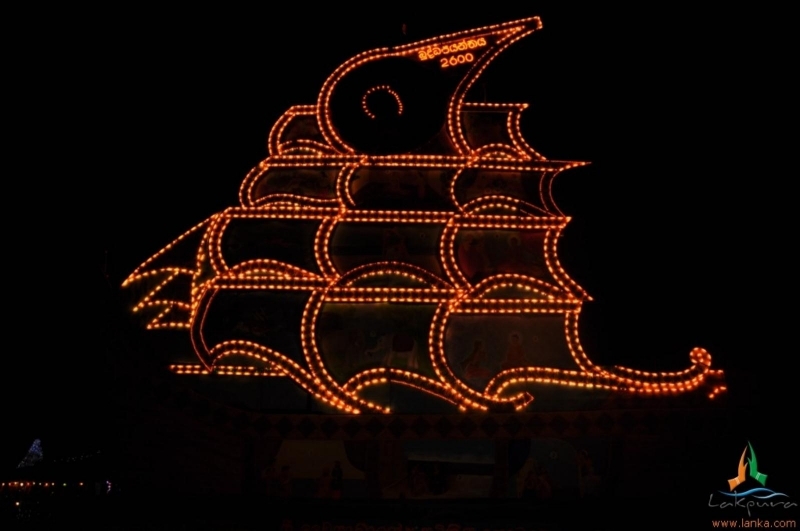 Gautama Buddha was trained in various mental skills under many teachers, only to get disillusioned that they do not have the truth he looked for. 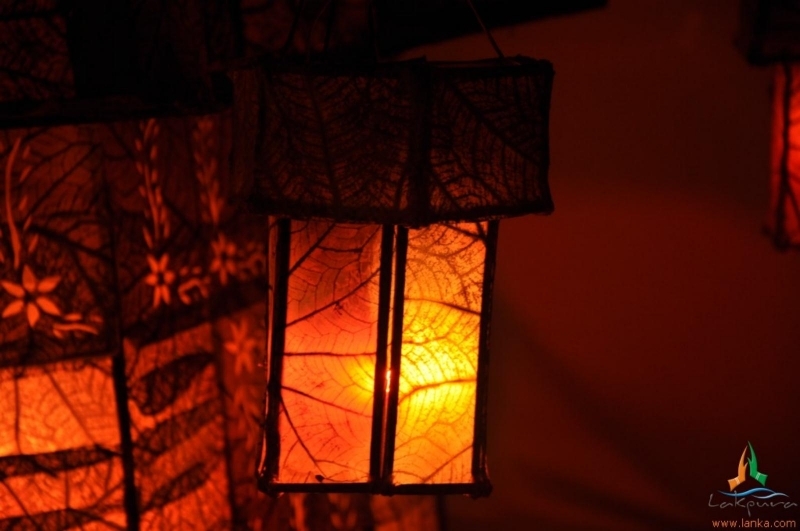 The right way to achieve the truth dawned on him one day. 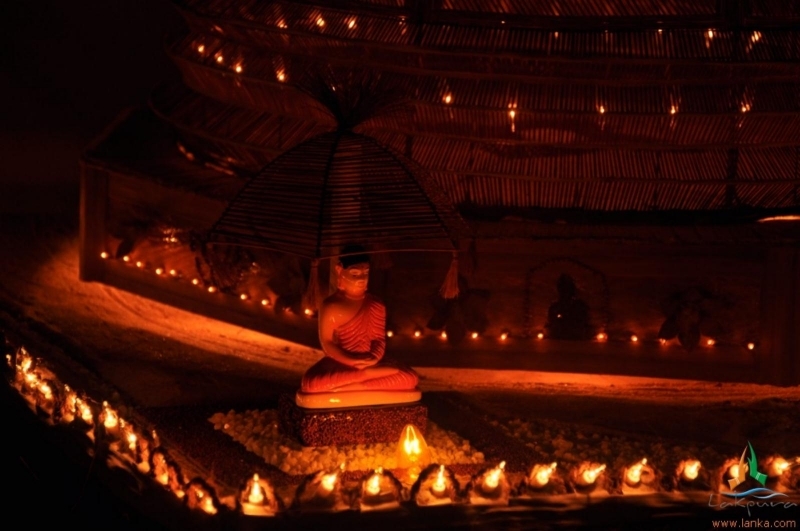 He directed his mind in the path of meditation. 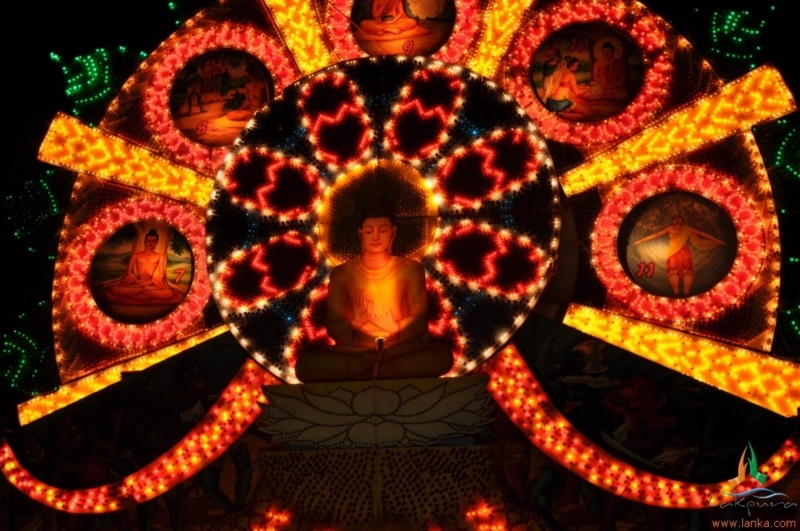 Moments later he reached enlightenment and conquered the world of sorrows on Vesak Poya day. 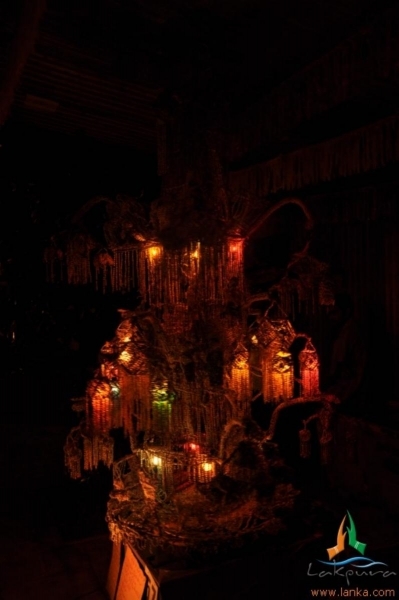 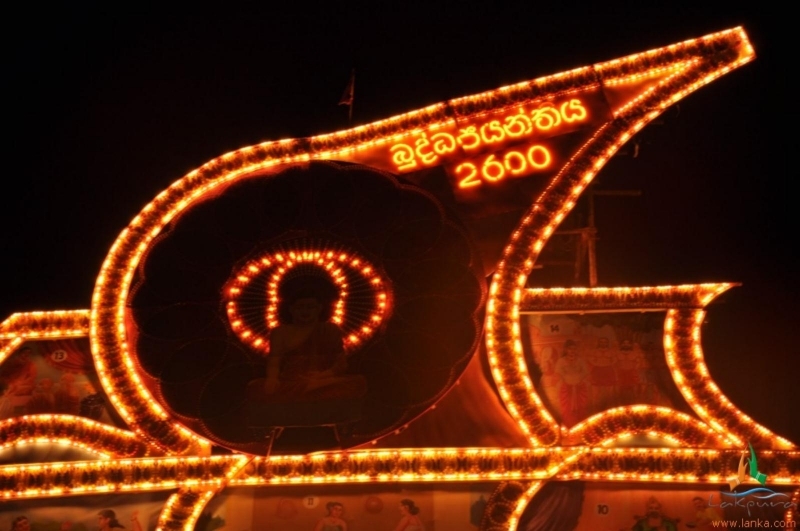 80-year old Gotama Buddha then announced His passing away, Parinibbana, would take place on the third watch of the night at Sal grove of Malla royal family, and it happened to be a Vesak Poya day. 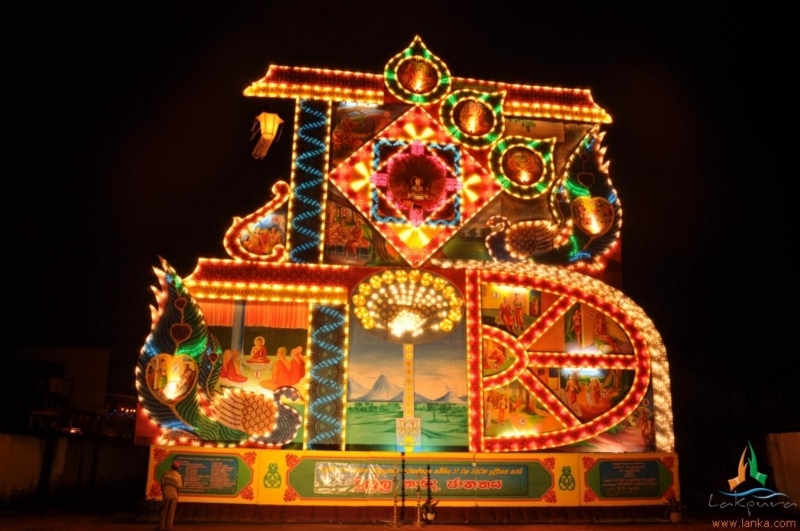 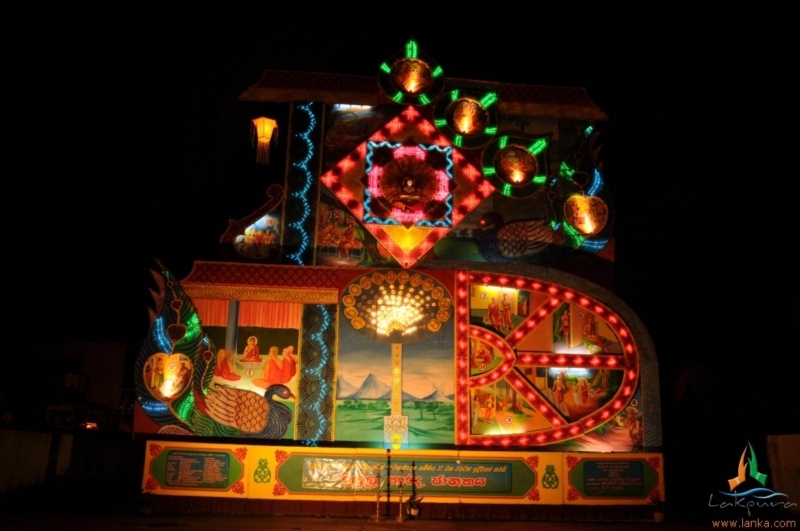 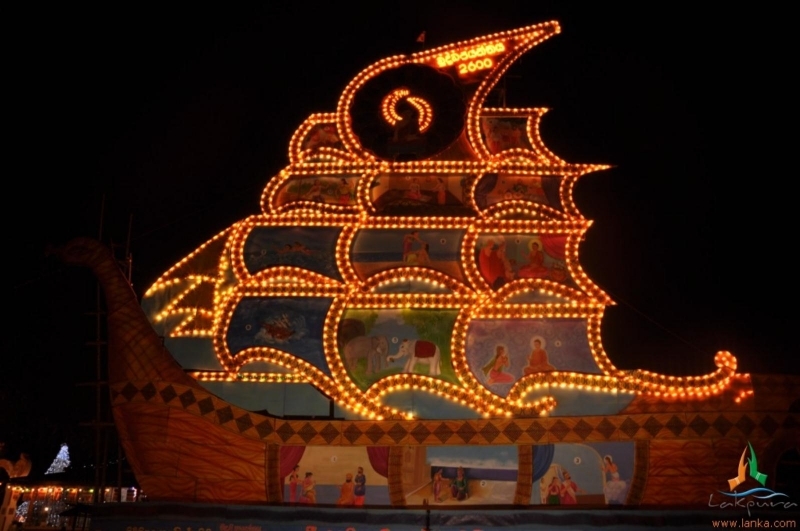 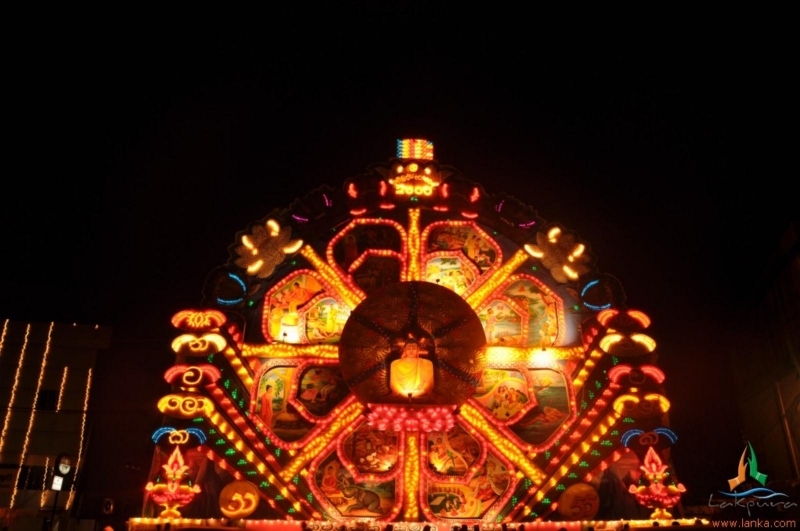 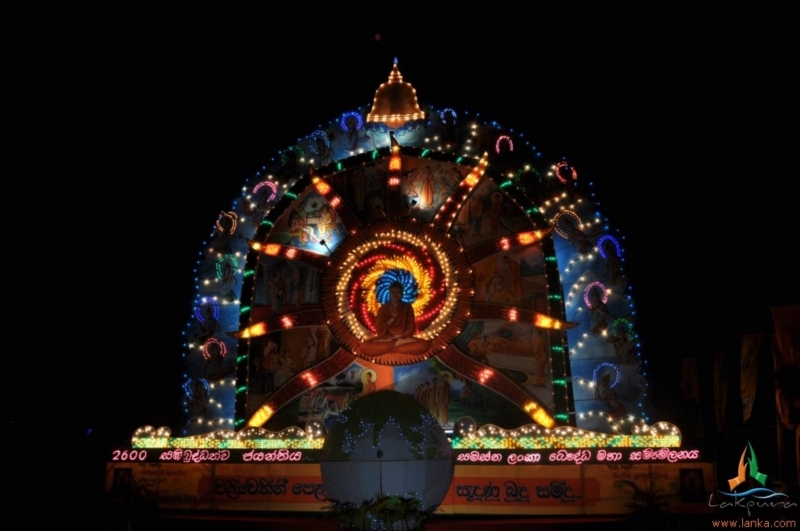 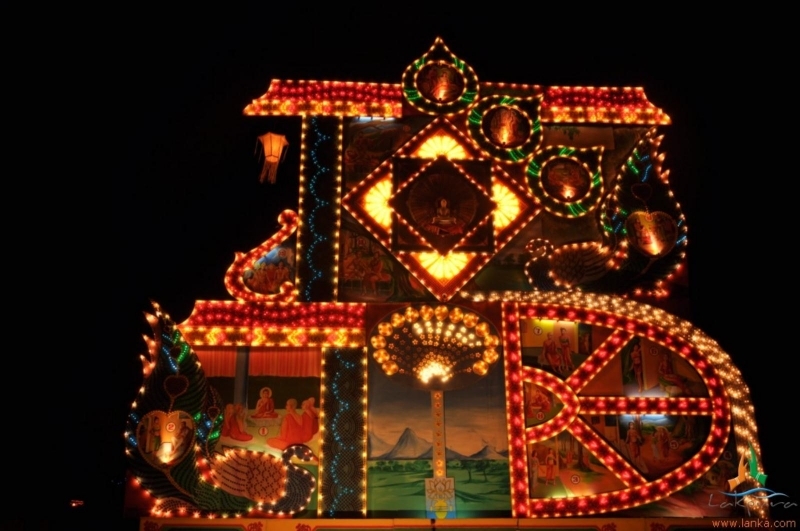 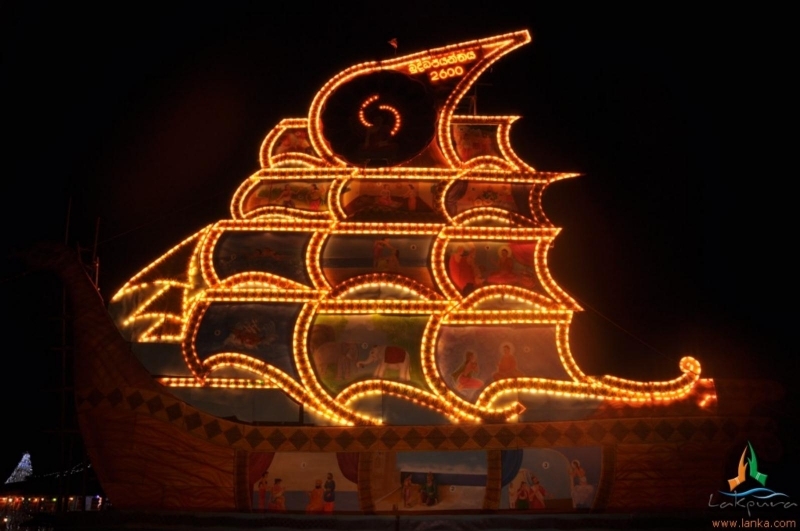 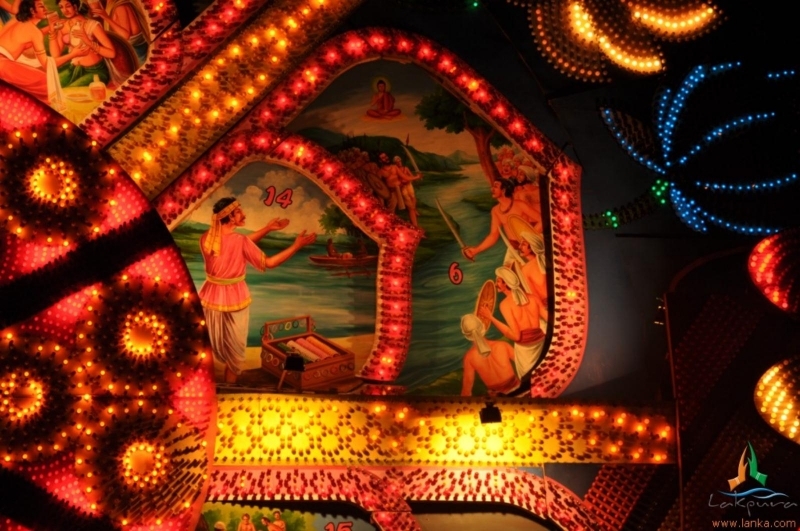 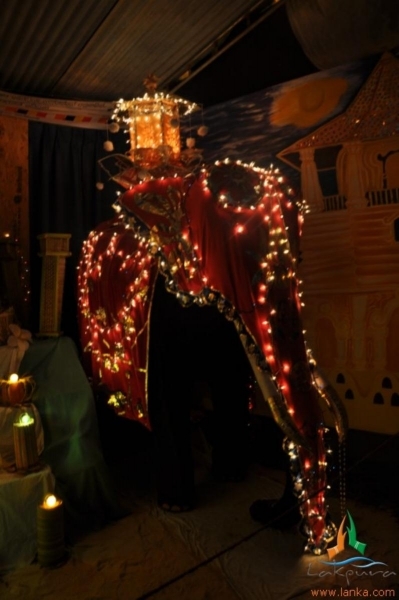 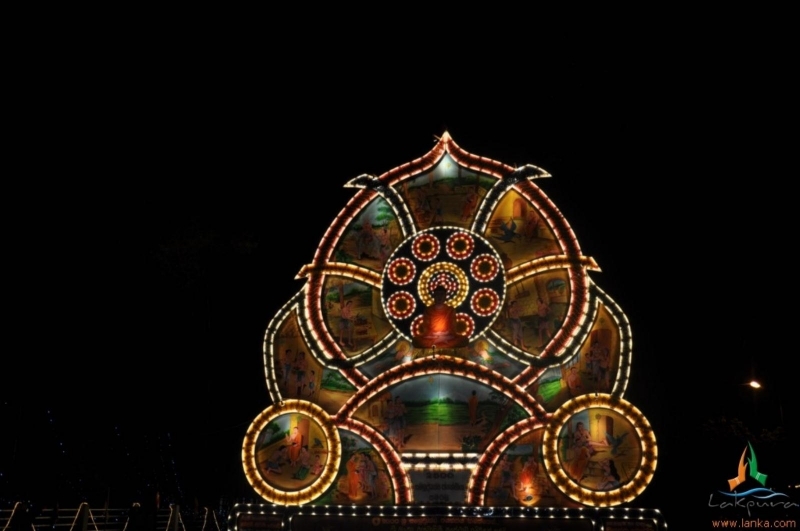 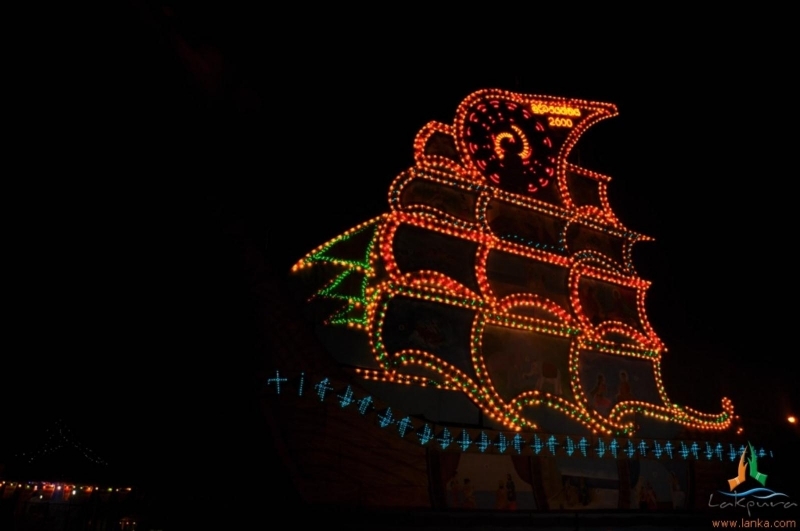 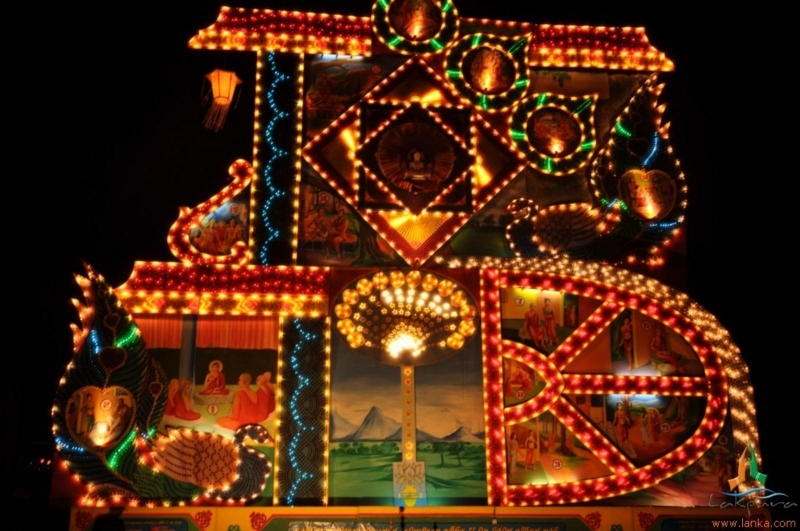 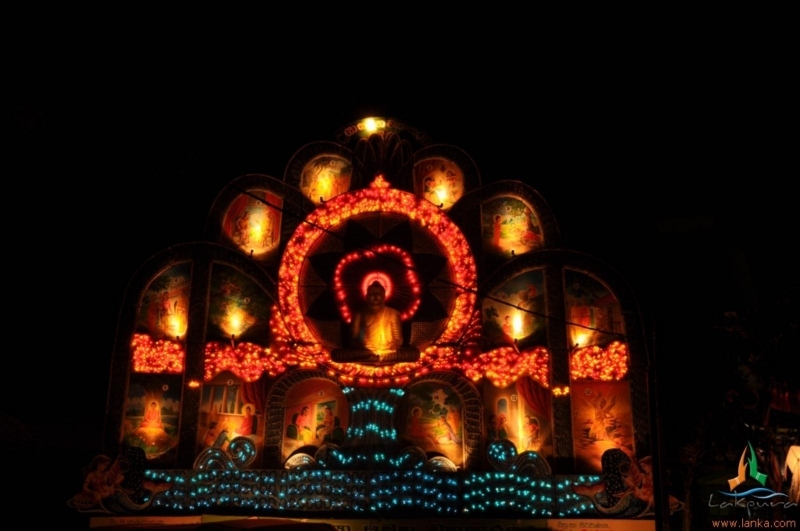 In Vesak Season in electrically lit Vesak pandols called thoranas are erected island wide at public places, being mostly sponsored by donors, religious societies and welfare groups. 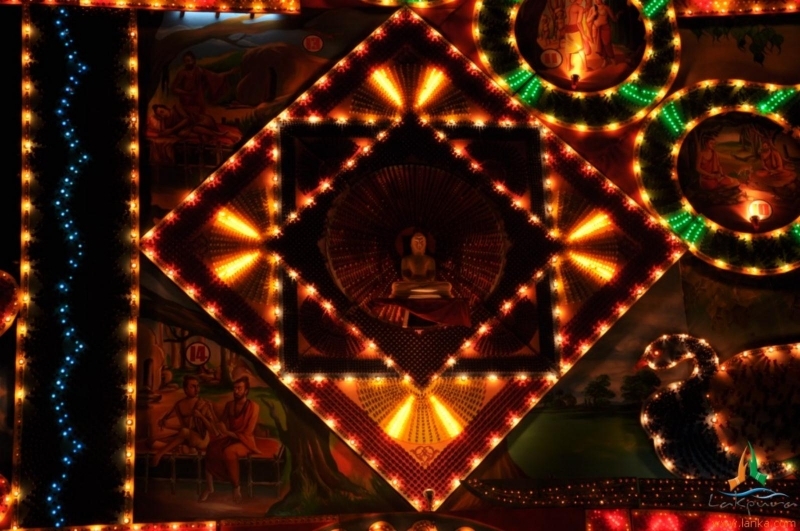 Each pandol illustrates a story from the 550 ‘Jathaka Katha’ or the 550 Past Life Stories of the Buddha. 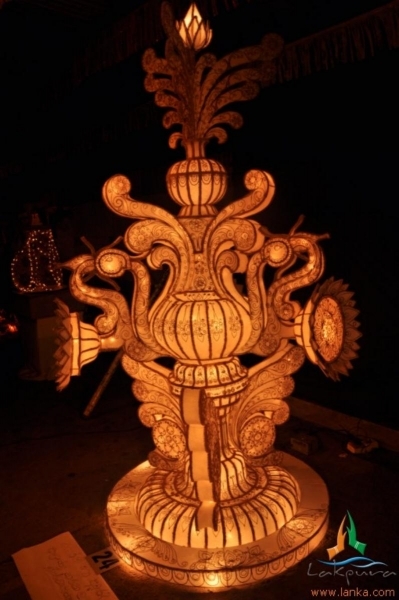 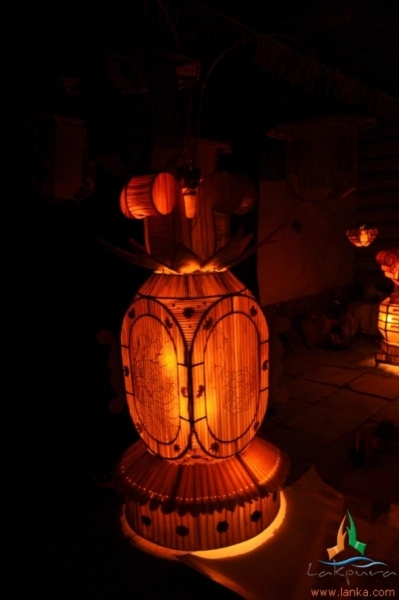 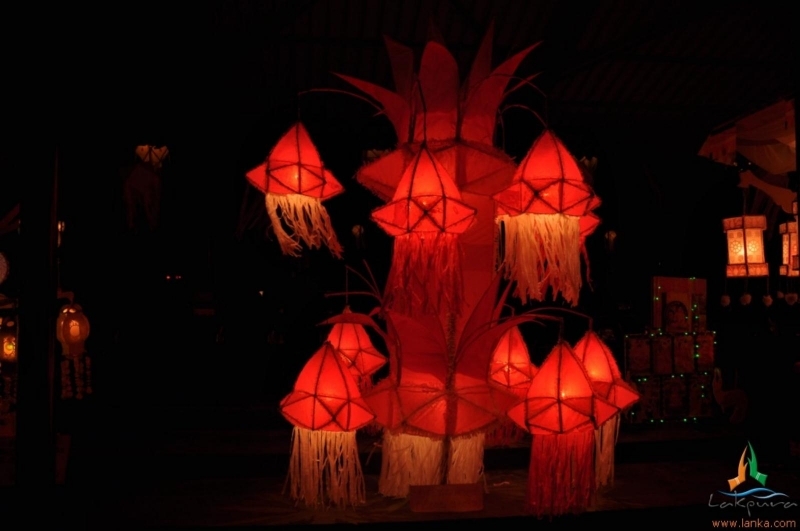 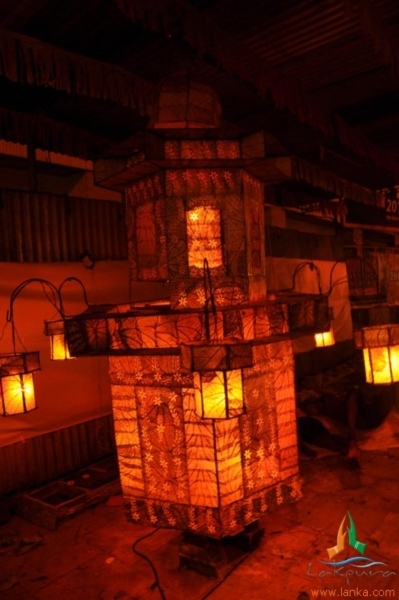 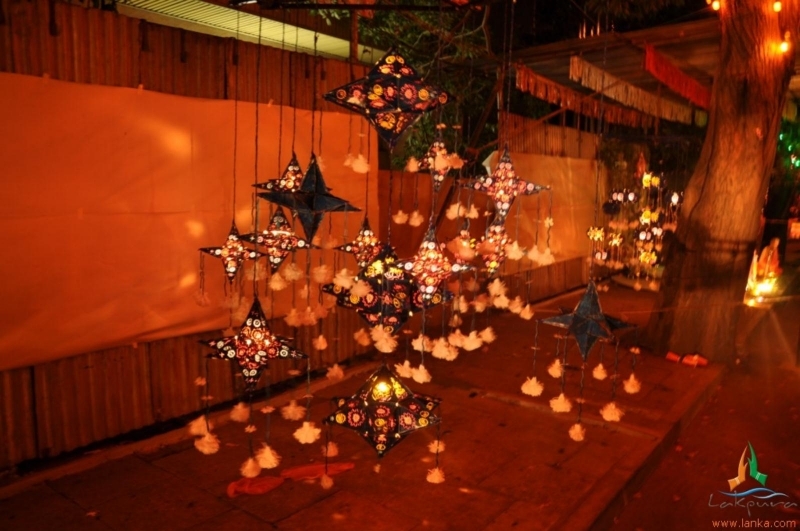 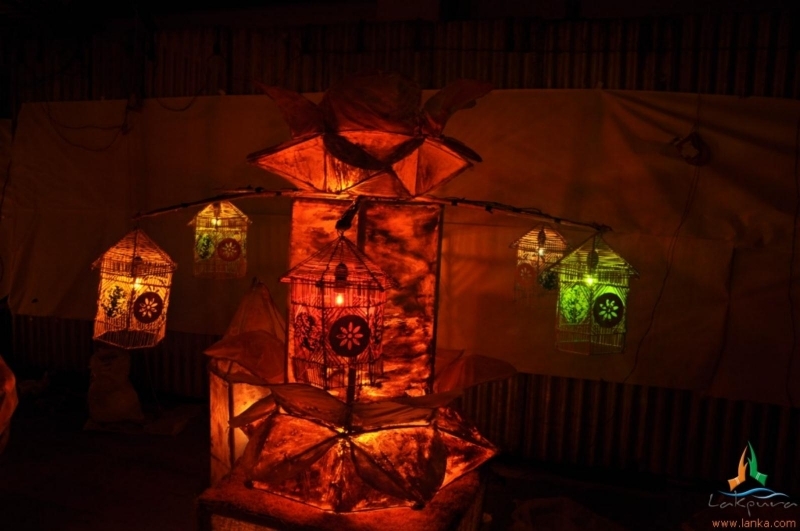 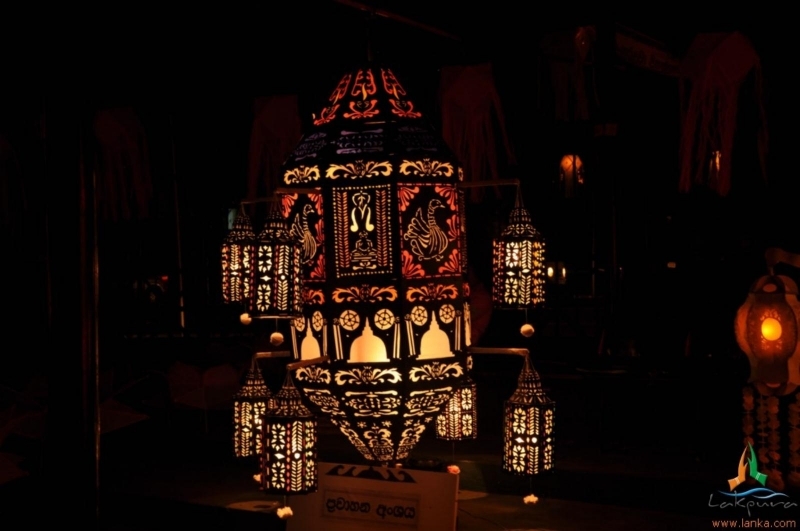 Vesak lanterns called Vesak koodu are lit in most of the homes in Sri Lanka on Vesak poya day. 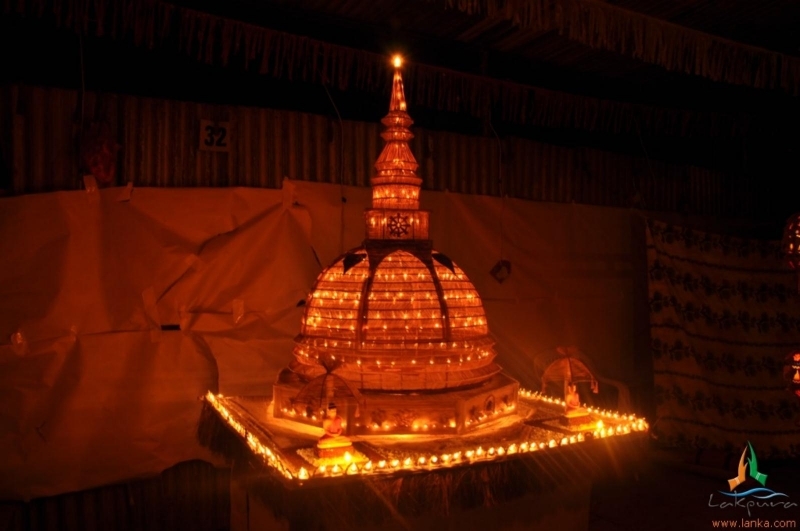 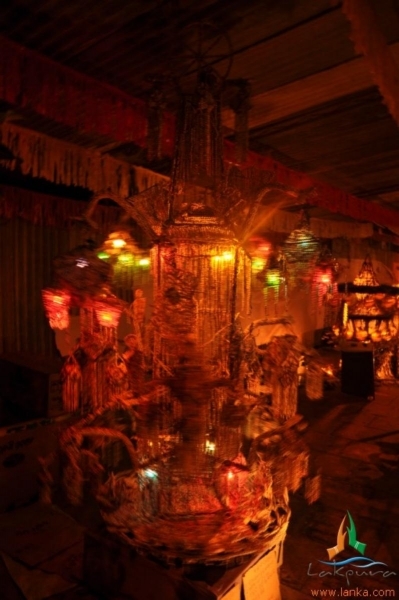 The lighting signifies an offering to the memory of the Buddha who delivered the message of Dhamma. 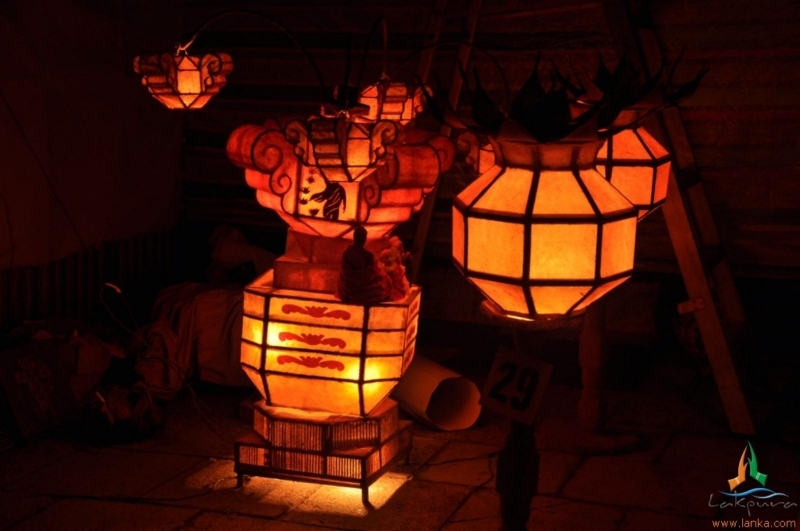 In ancient times, people used their clay oil lamps for illumination. 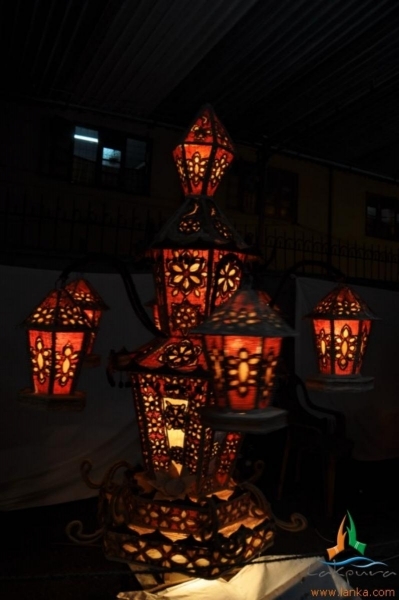 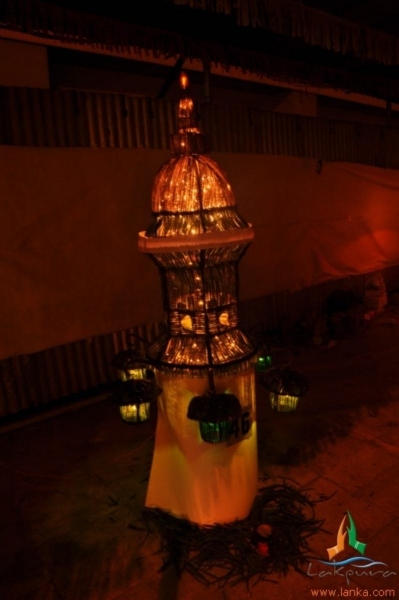 When candles became popular, colourful lanterns were made in different shapes and colours were used. 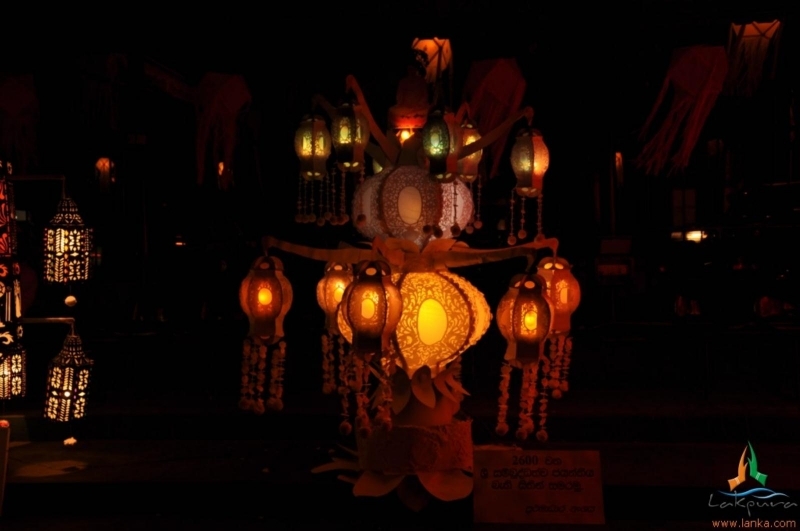 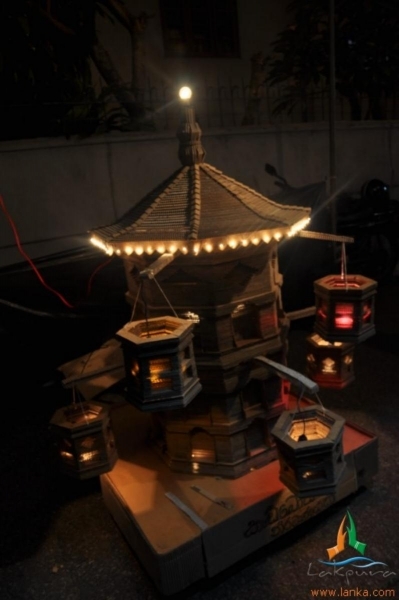 Many associations arrange competitions on Vesak lanterns with the creators of the most beautiful lanterns being awarded valuable prizes.